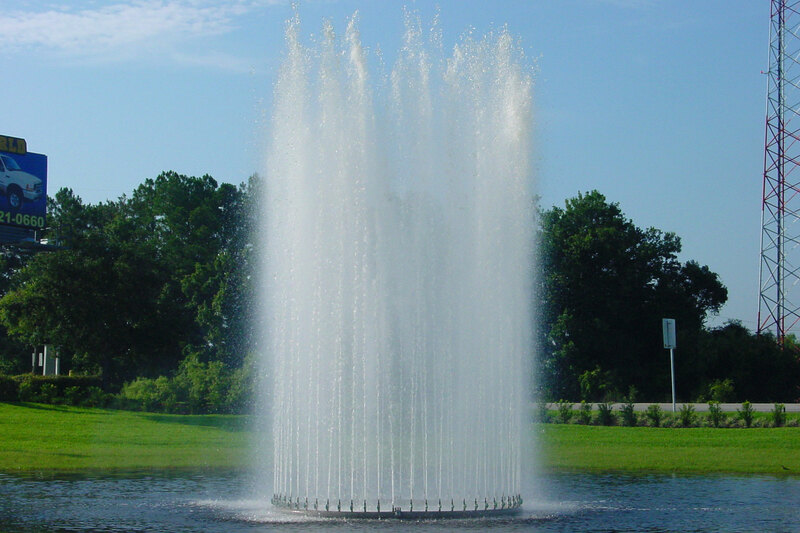 Floating Spray Ring Fountains are our most requested floating fountain display. 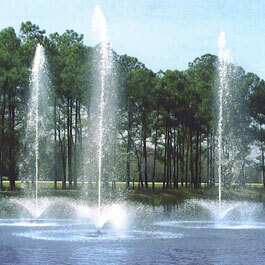 We design vertical and arching jet spray ring fountains for ponds and lakes. Spray Ring displays are very customizable. This particular display had arching jets, vertical jets, and waterproof fountain lights. Spray ring nozzles must be well-defined to keep their individual streams noticeable from long distances. 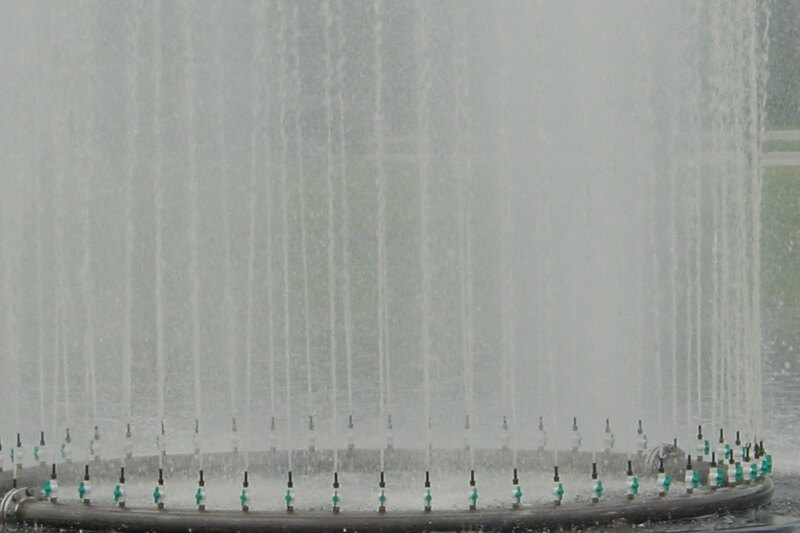 Floating Spray Ring Fountains are our most requested floating fountain design. The spray rings are custom-manufactured stainless steel. The nozzles vary depending on the desired display effect, but common nozzle styles are smooth bore, aerating foam jet nozzles and bronze clear stream nozzles. We are able to create vertical and arching jet displays that have good wind stability. 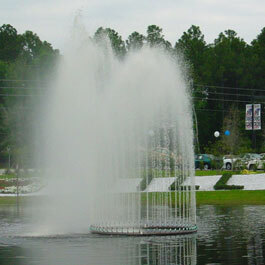 Floating fountains, like the Spray Ring display style, are great focal points for ponds and lakes. 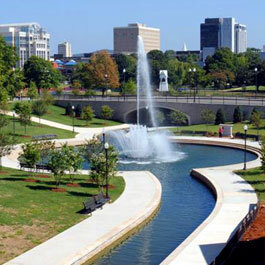 They’re popular in community and commercial landscape designs. 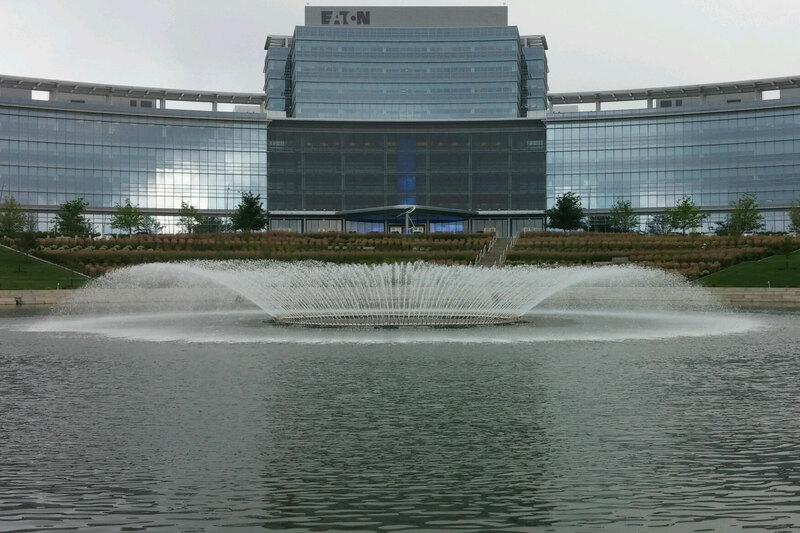 Aside from the acoustic benefits they bring to the surrounding area, floating vari-jet fountains also bring an important aesthetic benefit. During the day, the jets draw visitors’ eyes to bodies of water they would often overlook. 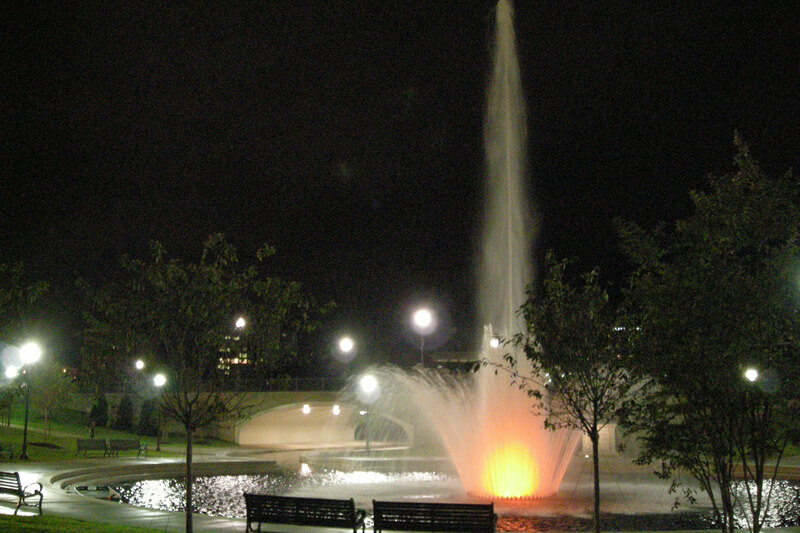 At night, an illuminated fountain will not only provide light to the columns of water but also the surrounding water’s surface. Ponds and reservoirs are often subject to still water, especially in areas with little wind activity. Floating fountains offer aeration and surface disruption that bodies of water need to keep from getting stagnant. Floating fountains reduce algae levels, increase oxygen levels and provide a large percentage of the required aquatic maintenance. These are all vital to the health of water bodies, especially in mosquito-prone areas.